1. Most often the reader is not even an “average” reader, and thus struggles. 2. Reading something does not mean you understand it. 3. Reading does not change behavior or performance. 4. 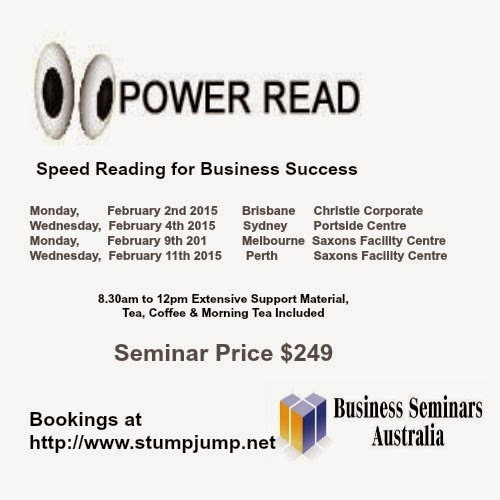 Most people struggle toggling between the book about speed reading, and then trying to apply it in another book. So you can read a book, but it probably won’t change your performance. Speed Reading draws over 1 million searches per month and there are over 11 million listings in Google. So, the term, “let the buyer beware” is a useful mantra when looking for free stuff over the web. What is the source? How can they be trusted? What is fact? What is conjecture? How much is simply wrong? With so much “free” stuff on the web for speed reading, there is no wonder why the topic has become so maligned. Speed reading still draws over 1 million searches per month and 11 million listings in Google. Pitfall 3 - There must be an app for that! The mistake with buying a software program or a smartphone app is that all of them focus almost exclusively on the speed of the words on the screen, and do not go into comprehension approaches. These methods have been proven to be harmful to the eyes as well as ineffectual for changing reading speeds long term. Other problems are that the programs don’t work with all reading situations. Some mechanical training is necessary for you master to get your eyes moving more fluidly and efficiently, but the tool must be transportable to all reading environments. Also with this “Words on Screen Faster” approach is that you to move your eyes through text at 10,000, 20,000, or even 30,000 words per minute, but if you don’t understand it and can not recall anything, is that reading? Reading is the act of seeing visual stimuli, printed letters and word, and deriving meaning from those symbols. All speed reading programs will focus on the mechanics of moving the eyes more fluidly over the print. It is an essential part of creating faster reading. But there is another component. Comprehension is understanding what you read while you are reading. Many learners get stuck on the mechanics only. When the learner gets hung up analyzing what the eyes are supposed to be doing, and not what the mind is supposed to be doing, the speed is meaningless. So warn yourself about stopping your learning too early. If you find a program that teaches comprehension in-depth as well, be sure to study and apply it in a variety of types of reading. The mechanics need to be adjusted to the type of reading material. There are 2 different categories of Naysayers - Personal and Professional. Personal naysayers are the people you know. There are the ones who will give you an opinion on anything, even if their opinion is based on nothing other than their instant judgment that you want to do something different for yourself. The second type of naysayer may be credentialed with a degree or two. They are trained to be analytic, and skeptical. But that same training leads them to a similar conclusion as the personal naysayer. Academicians are quite often biased setting out to prove the negative premise from the beginning. So, what do you want to believe? Do you believe you can, with proper training, read 2 - 10 times faster with even better comprehension? As Henry Ford said, “Whether you think you can, or whether you think you can’t, you’re right!” Your brain/mind searches for evidence of what it believes. Your belief set will drive your behavior. The electronic age has brought on the era of instant everything. There is instant coffee, instant breakfasts, instant dinners, instant downloads, etc. Generalizing this to learning to speed read is a sure-fire road to failure. It has taken you a lifetime to get your brain to function the way it does now. If it is not functioning at peak performance levels, it won’t change overnight. But you can change your brain. With consistent effort over time, you can achieve much higher levels of performance that will last you a lifetime. Once accomplished, you will also enjoy a much more fulfilling cognitive life. Learning behaviorists know well that behavior needs to be reinforced and rewarded over time to truly take hold long term. The neuro pathways need continuous building to build stronger lasting networks. Yes, you can “learn” a lot in just 3 hours. But will it take hold? Tacit learning is in the doing. Speed reading needs to be learned tacitly. That means hands on - literally! There are many emerging studies showing that kinesthetic learning, through a multi-sensory approach is hands down the longest lasting and heaviest neural-network builder there is. Have I mentioned all our programs are quite multi-sensory? Sight, sound, and movement. All researched methodologies for learning a complex set of skills such as speed reading, show that the best, easiest way is by taking small chunks consistently over time. No matter what skill you want to learn, success comes easier with consistent effort. No matter what you choose to do, give it consistent effort.